Many of you have been using your RealBird SMS text code real estate marketing service for years with the optional Caller ID feature utilizing the NextCaller add-on on Twilio. This particular add-on is now discontinued so if you want to continue to receive caller ID information about your prospective home buyers and sellers, you have to update your Twilio settings to use an alternative add-on service. One of the optional add-ons is Whitepages Pro Caller Identification which costs an additional 7 cents per lead and the other one is Twilio’s own Twilio Caller Name which costs an additional 1 cent per lead. Whitepages add-on provides much more information about the person who texted to your RealBird SMS phone number than the Twilio Caller Name function, but it also cost a bit more. But since the per lead fee is so low either ways, we strongly recommend to enable the Whitepages Pro Caller Identication add-on. The base rate per lead (payable to Twilio) is 2.25 cents only so with the add-on it will be only 9.25 cents, which is amazingly low for a home buyer lead. 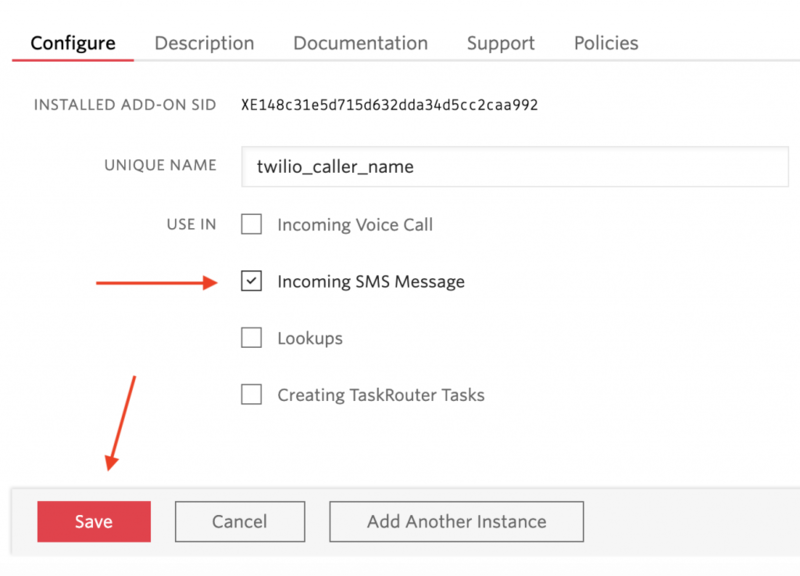 This update does not require any changes of your RealBird settings only on Twilio. You can access these add-ons at this Twilio dashboard page. Select the one you’d like to enable from the list. On the specific Add-On page, click Install, read and confirm agreement to the terms, and then as a last step make sure you enable the feature for incoming SMS messages and Save as shown below. The steps described in this post has to be completed only once if you like to extend the RealBird SMS service with Caller ID capabilities. Should you have questions on how to set up the RealBird SMS marketing service itself so that you can start generating buyer and seller leads including using SMS sign riders, please don’t hesitate to contact us.